Transform your smile with super bright colourful light for a party look like no other! 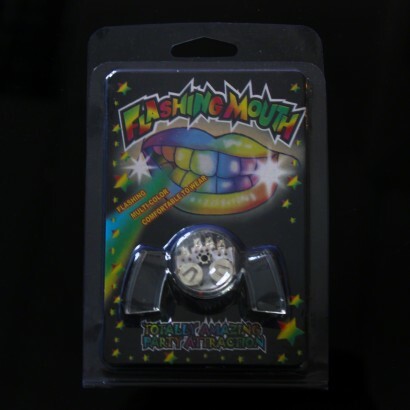 A good quality plastic mouth piece designed to sit on your back teeth, the flashing mouth has four super bright LEDs at the front that shine through your front teeth to give you a super bright multi coloured smile! 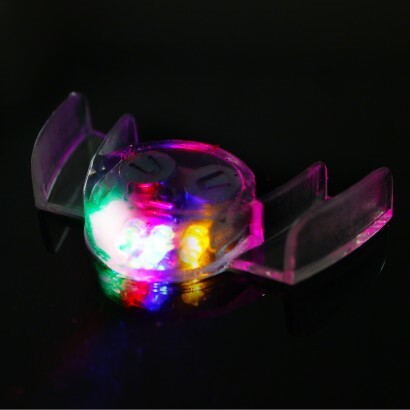 Impress your friends with a smile that lights up the room! 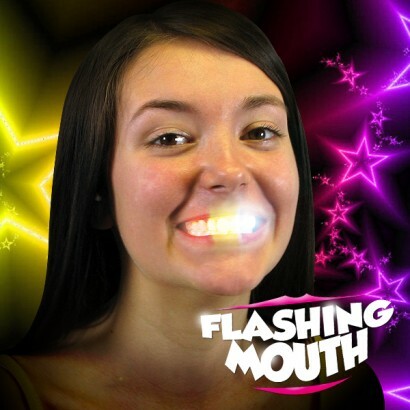 Actually makes your teeth flash!